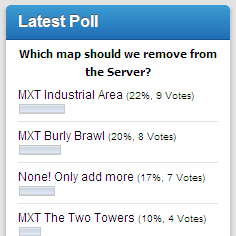 With a total of 41 Votes and 9 for Removing It, MXT Industrial Area, is the map being Removed. Maybe It’s too Stock like? maybe too big for when the server is not full? I don’t know, but will go out the Map rotation today. Meanwhile you can start voting on what map to Include! 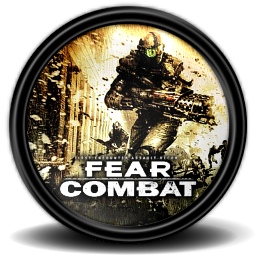 If you want to suggest a new map, comment here, so we can Include It on the next poll. germany ctf had a tight map where it was set up inside the death star in star wars, do you have that map?